Penguins are very social creatures. They live in big colonies that can be made up of millions of other penguins. 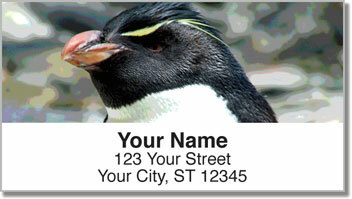 Yet moms and dads can easily keep track of their kids by recognizing the call of the baby penguins. It's comforting to know that your family and friends are only a phone call, email or letter away. 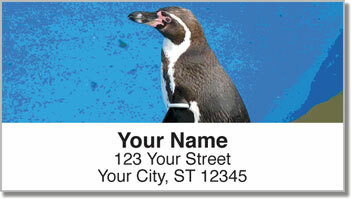 These convenient self-adhesive address labels featuring photos of different penguins are an excellent way to help you keep in touch. 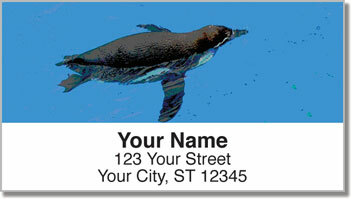 They will also make the chore of preparing all types of outgoing mail quick and easy. A self-adhesive backing means you simply peel and place them on every envelope. So why not write mom a letter today? 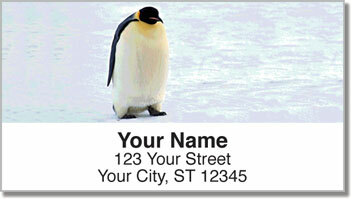 Get your very own Penguin Address Labels from CheckAdvantage. We also offer a set of matching personal checks!